The Huskies were awarded a No. 5 seed in the National Invitational Tournament and will host fourth-seeded Boise State in the opening round, the first matchup between UW and the Broncos in 19 years. 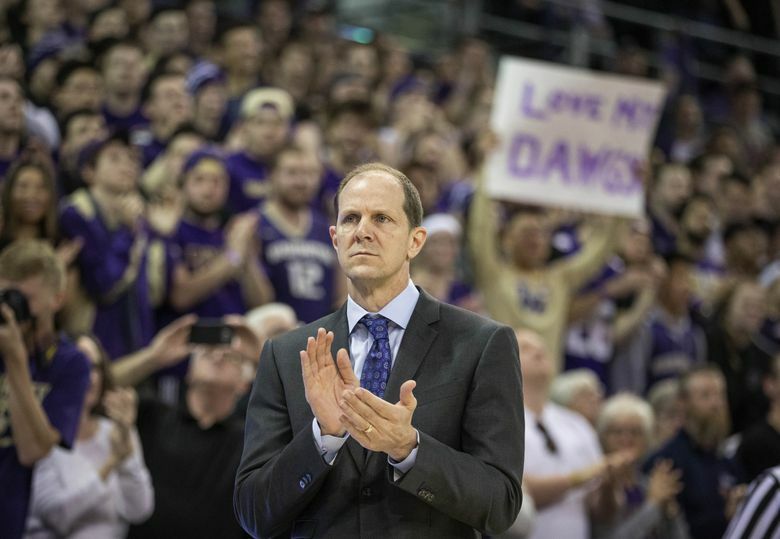 The Huskies made great strides under first-year coach Mike Hopkins and came close to snapping their NCAA tournament drought, which extended another year to seven straight after the Big Dance bracket was revealed Sunday. As a consolation prize for a 20-12 record, the Washington men’s basketball team received a No. 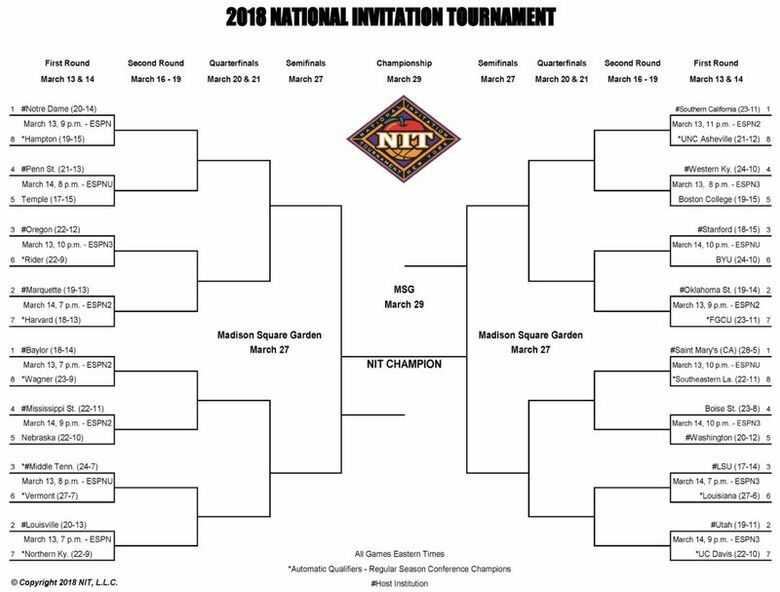 5 seed in the National Invitation Tournament. The Huskies will face No. 4 Boise State (23-8) 7 p.m. Wednesday at Alaska Airlines Arena in a first-round matchup that will be broadcast online on ESPN3. (The Broncos are unable to host the game due to a scheduling conflict at Taco Bell Arena). Boise State finished second in the Mountain West regular-season race at 13-5. The Broncos’ bid for an NCAA tournament berth expired last week after a 78-75 upset loss to Utah State in the quarterfinals of the conference tournament. Washington is 8-1 lifetime against Boise State, but the teams haven’t played in 19 years. UW won 72-57 in 1999. With a win, UW could play at No. 1 Saint Mary’s (28-5) in the second round later this week. The Huskies are one of five Pac-12 teams participating in the NIT. They’re on the same side of the bracket as No. 1 USC, No. 2 Utah and No. 3 Stanford. No. 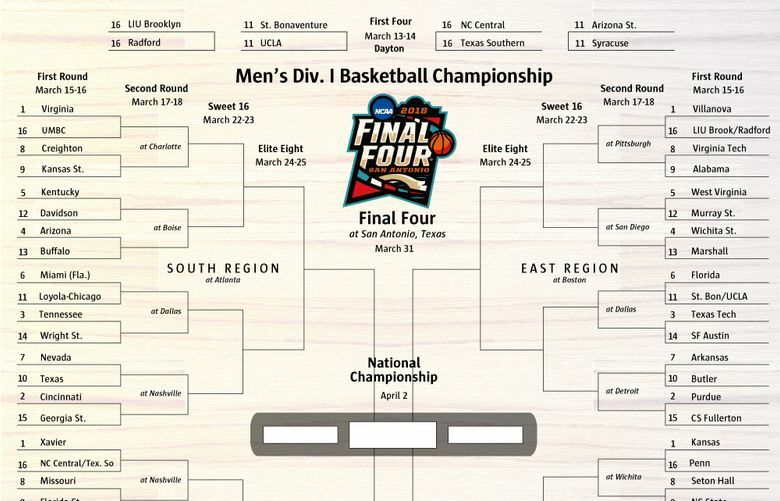 3 Oregon is on the left side of the bracket, which includes several East Coast teams. Notre Dame and Baylor are the No. 1 seeds on right side of the bracket. The semifinals and finals are held at New York’s Madison Square Garden on March 27 and 29. All 31 games will be televised on ESPN networks. The Huskies have made eight appearances in the NIT and posted a 7-8 all-time record. They went 1-1 in 2016 and advanced to the semifinals at New York’s Madison Square Garden in 2012. ​ — The three-point line will be extended by approximately 1 foot 8 inches to the same distance used by FIBA for international competition (22 feet 1.75 inches).